Create high-resolution 4K x 2K connections with HBR2 support between your DisplayPort equipped devices. 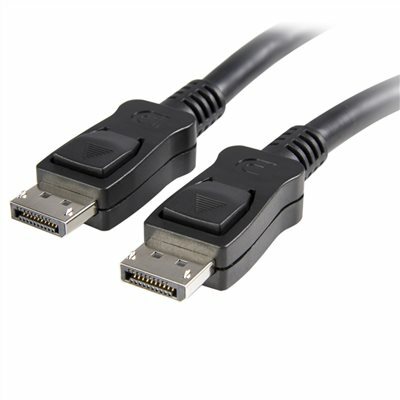 This DisplayPort cable provides a secure connection between your DisplayPort equipped devices and is capable of providing higher performance than either HDMI or dual-link DVI.The DP cable supports high resolutions of up to 4K x 2K (4096 x 2160, 60Hz) with a maximum HBR2 bandwidth of 21.6Gbps, as well as optional audio support. The cable also supports Multi-Stream Transport (MST) for daisy chaining multiple monitors.The 6-foot cable is DisplayPort (VESA) certified to support DP 1.2 specifications and ensure a high-quality, reliable connection for all of your DisplayPort devices.